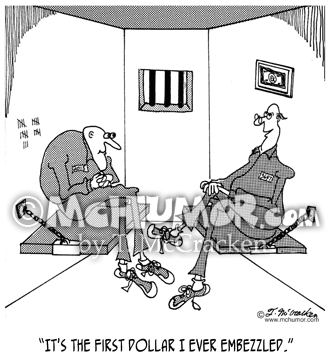 White Collar Crime Cartoon 4931: A prisoner with a dollar hanging above his bed saying, "It's the first dollar I ever embezzled." 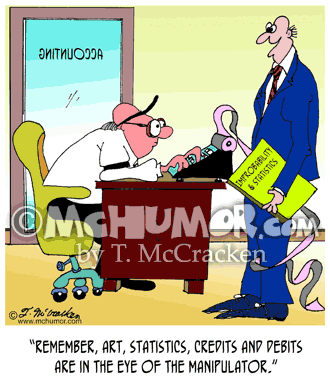 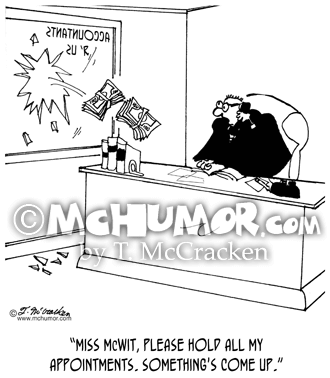 Accounting Cartoon 6673: As a huge wad of money flies through his office window, an accountant on the phone says, "Miss McWit, please hold all my appointments. 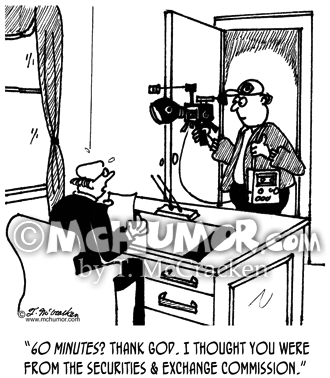 Something's come up." 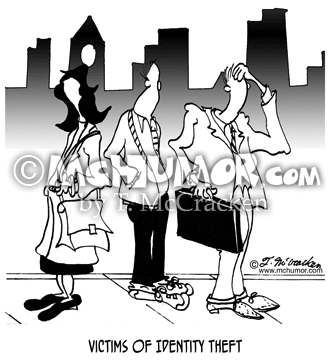 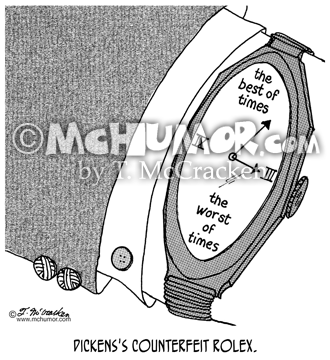 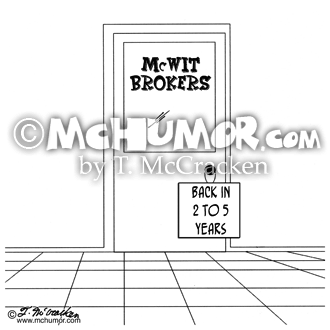 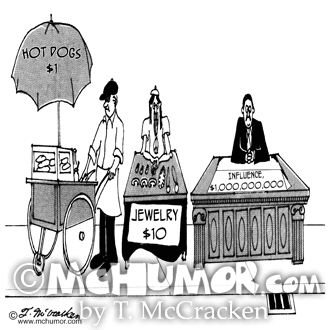 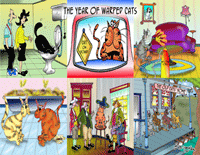 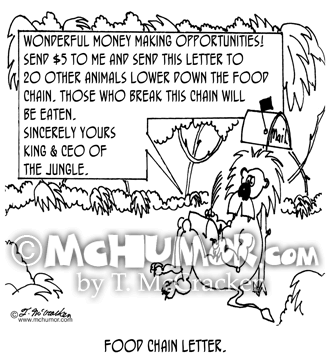 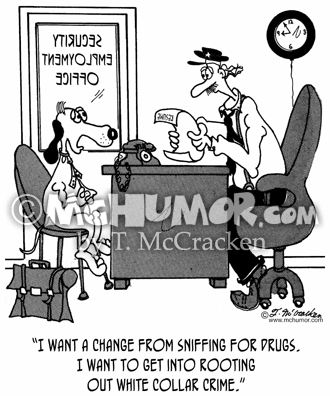 Broker Cartoon 4579: A sign on the door of McWit Brokers says, "Back in 2 to 5 years."